Today I'm very excited to share this interview with Lizzy Charles, author of EFFORTLESS WITH YOU, a YA e-book recently published by Swoon Romance. 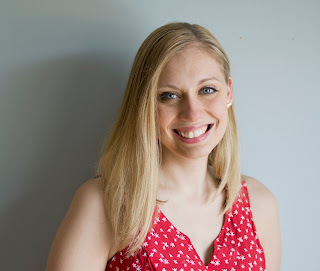 Lizzy is a fellow Minnesota author, so of course I jumped at the chance to interview her during this month's blog tour. Because Lizzy and I both write Contemporary YA, my interview is mainly focused on her writing experience. When did you start writing? Was there a certain book you read and it just hit you – I could do this? Lizzy Charles: I’ve always loved writing. In first grade, I was obsessed with writing projects the moment I discovered I could take construction paper and fold it into a book. I never had an Oh my gosh! I think I can do this moment from anything I’ve read. I’ve always known I wanted to write a book. It was actually the birth of my first child that made me open my eyes and realize that I needed to at least try for my dream, otherwise how could I encourage my children to try for theirs? How did you decide to write YA fiction - or did it decide on you? LC: I’ve always been an avid YA fiction reader. I don’t know if I decided that’s what I wanted to write, but it’s certainly what always pours out of me. Do you mainly write contemporary fiction or have you explored other genres? LC: So far, only contemporary fiction. I played with the beginning for a dark fantasy as a writing exercise, but it just didn’t click for me. I do hope to revisit it someday, when I need something new. How did you come up with the idea for EFFORTLESS WITH YOU? LC: I wanted to write a story with the dynamic relationship reflective of Mr. Darcy and Elizabeth Bennet from Pride and Prejudice. I loved the way Elizabeth loathed the cocky Mr. Darcy. You’ll find that dynamic between Lucy and Justin in EFFORTLESS WITH YOU. One thing I like to do with all of my projects is create Love Lists - the aspects or details I love most about the story or the characters. What do you love about EFFORTLESS WITH YOU? Lucy’s emotions are all over the place. In one thought, she captures so many conflicting thoughts and perspectives. It’s everything I remember about being a teenager. The novel features the James. J. Hill House, one of my favorite locations in St. Paul. Justin... Oh, man, I love that guy. I love that he’s gentle in his strength and not afraid to admit when he’s wrong. Marissa. She’s a total witch in the story, but I kind of love her for it. She’s so lost. Are you a daytime writer or a nighttime writer? LC: More than anything, I want to be a daytime writer, but most of my writing is done after 9pm on the couch. LC: Tea. Always tea. In the Fall/Winter, I’m an Earl Grey gal. Spring/Summer, I’m into Black Peach Tea. What do you love best about living in the Twin Cities? LC: It’s gorgeous here. I love that we have four seasons, even though I’m not a fan of Winter. But even that has such quiet beauty. I love the lakes, the people, the theaters, and the gazillion types of food we have in the city. It’s a great place to live. How has the role of social media influenced or impacted your journey? 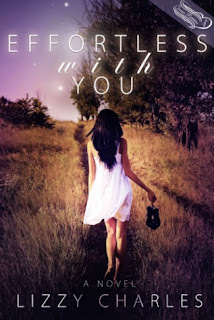 LC: I would have never connected with my critique group, Swoon Romance, or my agent if it wasn’t for Twitter. There’s a huge writing community there and I was basically struggling through tar until I reached out for critiques and started entering pitch contests. Share one crazy fact about yourself that you’d like readers to know. Thanks for taking the time to answer my questions, Lizzy, and best of luck with EFFORTLESS WITH YOU! Hello! I saw the link to this interview on Lizzy's twitter feed, and being another MN writer I had to come check it out! Great interview, ladies!